Oh my! That is so cute!!! Great take on the transportain theme. HA!!! That is SO cute! Great job!!! LOL! 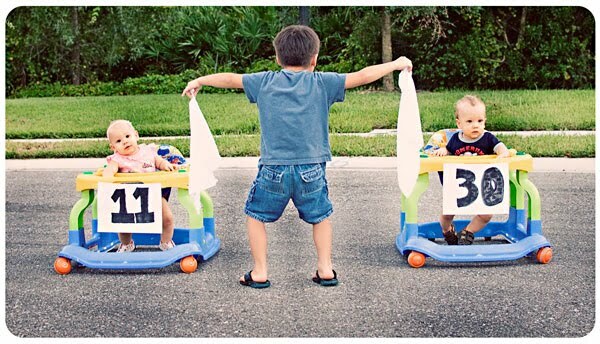 The little boy definitely has a competitive spirit in his eyes! Adorable!